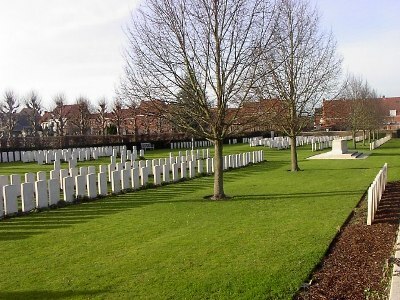 Ypres Town Cemetery Extension contains 598 Commonwealth casualties of the First World War buried or commemorated. 137 of the burials are unidentified and there are special memorials to 16 servicemen known or believed to be buried among them. Prince Maurice Victor Donald Battenberg is among the dead buried here. 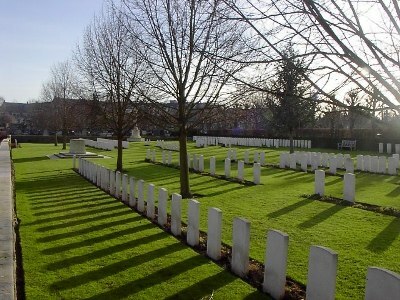 Second World War burials number 43, of which 13 are unidentified.